I thoroughly enjoyed the concert! Well worth the small price I paid. I'm a big fan of this band, and am glad I was able to view in the privacy of my home. Thank-you! 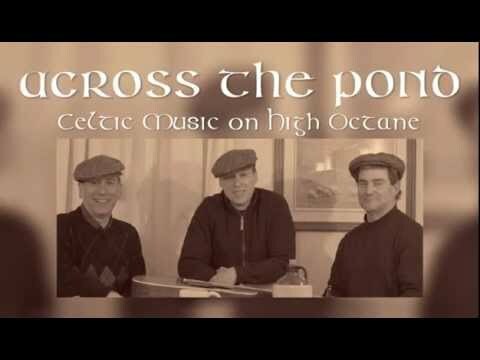 They are based in south-central PA and were recently named in the Top 20 Celtic bands worldwide by Marc Gunn of the Celtic Music Podcast. They were also ranked number 4 in the nation and number 6 globally on February 14, 2015, by Reverbnation, a company that develops technology for musicians, artist managers, record labels, venues, and music festivals for promotion, content management and cross-media licensing opportunities internationally. The were selected March 7th as co-winners of the Texas Scots Talent Competition. And they recently have had tracks in the top ten nationally and internationally on Number One Music. Band members are Mike Morrison on guitar, mandolin, flute, banjo (and soon pipes); Chuck Krepley on fiddle, banjo & guitar; and Dan Diviney on bodhrán & pennywhistles. They perform a mix of songs and tunes, including jigs, reels, slip jigs, hornpipes, strathspeys, and slow airs.